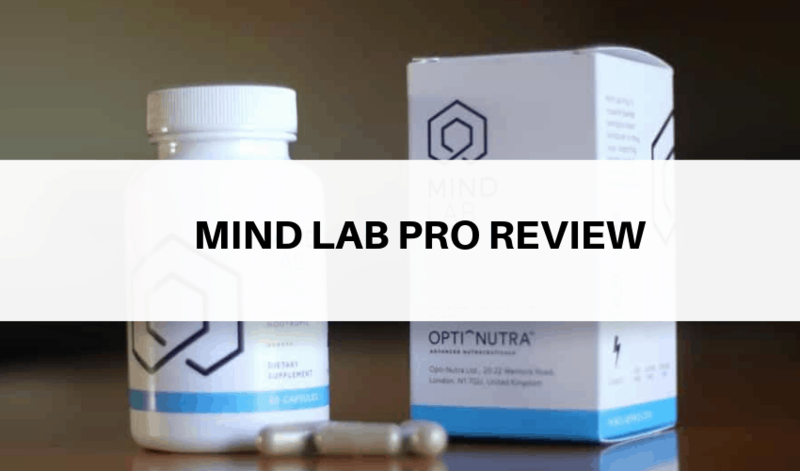 Mind Lab Pro Review - How Good Is This Nootropic Stack? If you’re looking for a ready-made stack that offers a shorter-than-average list of ingredients and is also quite affordable, then you should check out Mind Lab Pro. This is a blend of 11 ingredients which are highly bioactive – making sure that you get to feel the effects in just a few minutes of taking the pills. Yet another thing you need to note about this stack is that it provides neuroprotective and adaptogenic effects. But to get a clearer picture on whether it is worth the money or not, it’s important for us to dig deeper and unearth a few more, little-known facts about it. First off, this is a brand that’s associated with a UK-based company known as Opti-Nutra. The London-based company claims to have built a name for itself by producing high-quality dietary supplements and advanced nutraceuticals. From the look of things, the company seeks to outrun its competition by focusing on quality as opposed to quantity. This is evident when you consider the fact that their flagship product, Mind Lab Pro, features 11 ingredients in a market where we have seen some competing stacks providing as many as 42 ingredients. Talking about ingredients, let us take a closer look at some of the awesome ingredients found in MLP in order to understand how exactly the noot works and, whether or not it’s worth the hassle of getting it. One thing we noticed about the ready-made noot supplements on the markets is that they tend to feature some extremely long list of ingredients. But does having all manner of ingredients make a stack better? Well, ask any expert out there and they’ll tell you that it’s quality that matters. The key to success lies in having highly bioavailable ingredients which is pretty much what MLP has done. This is a choline precursor meaning in boosts and complements your natural choline levels. And one good thing about having optimal levels of choline in your brain is that it helps optimize your neural electrical impulses. Simply put, when you have just enough of this, you’ll be able to experience better thinking power. What’s more? You’ll be able to think faster and remain focused for long hours. Besides doing all that, Citicoline goes ahead to optimize your brain for intensive tasks. This is achieved by boosting the quantities of phosphatidylcholine (PC) which is a major phospholipid needed by the body to function effectively. And to crown it all up, this specific ingredient is known for doing an incredible job of supporting neurotransmitters. This helps prevent the premature breakdown of such transmitters and channels then to enhance the brains bioactivities. Apart from Citicoline, this is yet another one of the phospholipids that make MLP tick. Indeed, one of the key benefits of taking PS is that it helps maintain optimal levels of fluidity in addition to optimizing receptors and promoting neurotransmitters. Talking about neurotransmitters, PS is reputed for its ability to promote the production of acetylcholine and dopamine. Acetlycholine supports brain function while dopamine is responsible for a feel-good effect. The product actually supports brain cell energy and also enhances glucose metabolism. And the icing on the cake is that it also enhances nerve cell growth by boosting the levels of the nerve growth factor which supports brain cell repair and maintenance. If you’ve been researching about nootropics for quite some time, chances are that you have come across the name Bacopa Monnieri. So, what does it do and why is it so popular? Well, to begin with, BM is known for its powerful antioxidant effects. Its powerful synergistic effects help protect the brain cells and also slow down the age-accelerating effects typically caused by free radicals. And on top of that, BM promotes GABA, serotonin and acetylcholine synthesis which further yields major benefits among them healthy mood, clear memory and focused thinking. Lion’s Mane is the only mushroom known to man that supports brain health. It does so by supplying a number of active nootropics such as erinacines and hericenones. Erinacines are known for their ability to stimulate the production of the nerve growth factor (NGF) effectively helping improve the manner in which your brain functions. Hericenones, on the other hand, improves fluidity while at the same time complements the erinacines in stimulating the production of the NGF. Although this ingredient is commonly used to treat diabetes-related complications, some researchers recommend for its antioxidant effects. What’s more? This extract contains elements that help improve the healthy function of the blood-brain barrier. And while at it, the extract further promotes the release of nitric oxide. This is a well-known vasodilator which improves the flow of the blood to the brain thereby ensuring that all cells have just enough oxygen to run their operations. Also known as N-Acetyle-L-Tyrosine (NALT), this compound plays a major role in synthesizing catecholamine neurotransmitters which are improved in mental processing. High levels of NALT also directly correlate with optimal quantities of epinephrine, norephrine, and dopamine. Different studies suggest that NALT can help counter the effects of brain stress. And on top of that, the compound can help support the synthesis of essential neurotransmitters that are usually easily depleted when high-pressure thinking is involved. This is a really unique nootropic compound in the sense that it promotes wakefulness by increasing the intensity of the alpha brainwaves. And while at it, the noot also provides laxative effects thereby helping you to calm down and overcome anxiety. Another thing with L-Theanine is that it enhances something known as “the attention circuitry” which is directed related to your ability to stay focused for long hours. On top of that, this ingredient does an incredible job of protecting your neurons and preventing further damage to the brain cells effectively helping you conserve your brain power right to your old age. Looking for a healthy and natural way to sustain your critical neurotransmitters? This root extract may help you do so – especially by boosting the presence of serotonin, dopamine, and norepinephrine. And on top of that, Rhodiola helps your brain function in a better way by improving the manner in which your neurotransmitters are transported across the blood-brain barrier. Some medical researches indicate that Rhodiola can strengthen cognitive performance and help fight stress. This is a premium, patented blend of vitamins. According to the research team behind this brand, vitamins B12, B9, and B6 play a key role in something known as homocysteine metabolism. Simply put, the three play a major role in preventing brain degeneration along with addressing cerebrovascular concerns. Still with the MLP effects, it’s also important for us to talk about its side effects as well. So, is this nootropic stack safe to take after all? First off, MLP is commonly marketed as a universal nootropic with a clean label. That’s to say that it doesn’t come with any preservatives or even additives. And the fact that its ingredients are 100% natural makes it generally safe. You simply need to take 2 capsules of the product early in the morning and preferably on an empty stomach. However, if you realize that you need an extra boost, you may need to take the maximum dosage which is 4 pills every 24 hours. Our recommendation is that you should always start out with the 2 capsule dosage – it may take time for you to get used to it but it’s the healthiest option in our view. Also, you may need to note that the effects of taking MLP may not always be instant. In fact, you’d need to take it for at least 30 days (consistent supplementation) until you start experiencing some notable gains. At the same time, we’d recommend going off-cycle for at least once every week. This would help your body adapt accordingly and also help you prevent a situation whereby you’d build a tolerance for the ingredients. The best place to buy Mind Lab Pro is on the product’s official website. That way, you can always take advantage of the latest product discounts and coupon codes. The product is also available on Amazon. Each bottle contains 60 capsules and goes for $65 exclusive of shipping and handling fees. Interestingly, the company doesn’t offer price discounts when you order in bulk. You’d need to still spend $195 for the 3-month supply with the only difference being that you’ll get extra goodies such as free shipping and 1 box free. So, MLP’s approach to pricing is unique in the sense that they don’t offer price cuts and discounts. Instead, they provide you with extra goodies – and that’s equally good in our view. They ship to virtually all corners of the world. And so you can confidently order from them no matter where you might be today. What’s more? The company has a well-designed return and refunds policy. You can always return the products within 7 days of receiving it if you don’t like it. However, you’d have to incur the shipping charges. In addition to that, the company has a 30-day risk-free money back guarantee period which enables you to use the product for some time until you’re satisfied on whether it works for you or not. This combination or returns and refunds guidelines is meant to protect you, the buyer. And, therefore, no matter how skeptical you might be, this company seems committed to meeting you halfway. Q: How safe is Mind Lab Pro? A: The product has 11 ingredients which in our view are generally safe and well tolerated. We like the fact that the company has pegged its formulation on the latest scientific studies. Q: Where can I find some free samples of Mind Lab Pro? A: Unfortunately, the company doesn’t provide samples or a free trial period. Only free shipping for bulk purchases and money-back guarantee are provided. Q: Can I take this stack alongside other medical drugs? A: It is not possible for us to make a ruling on this as of yet. But just to avoid the possibility of interactions, we’d suggest you talk to your doctor about it. If we were to rate this stack, we’d give it a 9 out of 10 score. It’s well-made plus the company behind it has an outstanding track record. They only use well-researched ingredients. That said, Mind Lab Pro doesn’t come cheap. Verdict: Worth trying especially if you want a ready-made supplement with highly bioavailable ingredients.